No matter where you are in the world, a wedding is by far the most significant symbol of lifelong personal commitment between two individuals. In essence, getting engaged, inviting all your friends and family, scheduling a fancy party, and booking a honeymoon are all indeed forms of commitment as well. But ultimately, none of these financial obligations mean anything until you stand at the altar, in front of everyone, and recite the standard courthouse wedding vows. In the end, a courthouse wedding is a pledge. A promise to devote yourself to someone, till death do you part. This brief article will provide you with everything you need to know to write a rock-solid wedding script that will leave your girl in tears. With this guidance, your script will hold words of eternal love that will create the foundation of your promise to each other, thus solidifying your love and commitment to her. This is true whether you’re having a San Francisco City Hall elopement or getting married elsewhere. To make your wedding official, you must announce your intention of forever-more with a vow that binds you to each other through the court of law. Here is a brief template that will cover what you must say when making your pledge to your bride-to-be. 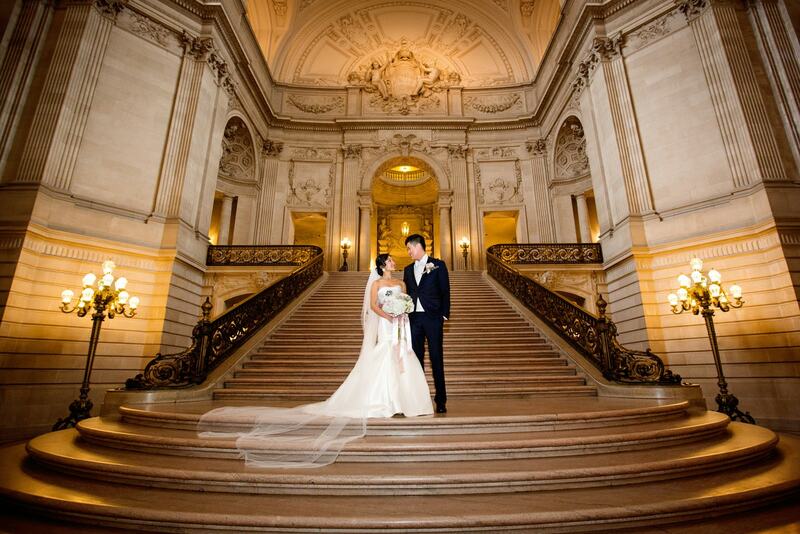 Are you getting married at San Francisco City Hall? 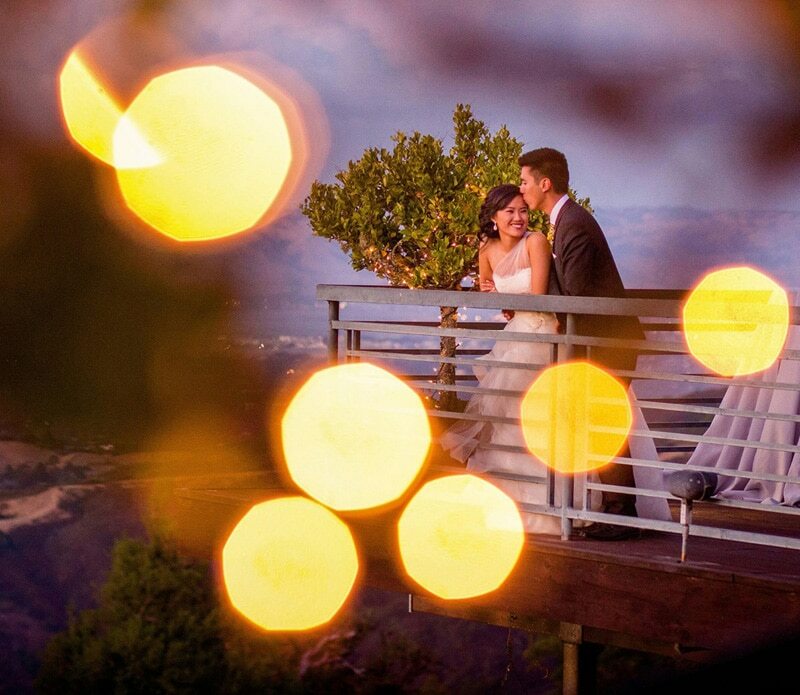 We’re a husband and wife team that specializes in photographing couples who say “I DO” at this beautiful landmark. Learn more about our Choco Studio’s packages, see wedding galleries, and find out which weekdays are less busy at City Hall. Wedding scripts follow a fairly standard format. They do, however, have opportunities for variations, though typically adhere to either a traditional, modern or simplified version. Depending on your style, level of traditionalism, or religious beliefs, any of these variations will serve you well on your special day when you commit to your beloved. Although writing your vows may seem like a stressful task, here are a few tips that can help you create your heartfelt words of commitment. Simply ensure that authenticity is the driving element to your statement, and you’ll undoubtedly find the perfect words. Besides reading other example vows for inspiration, consider writing down notes about your special relationship. If you’re pressed for ideas, start at the beginning. How do you two first meet? What was it that attracted you to this individual more than anyone else? Why are you excited to spend the rest of your life with her? Also, consider some challenges you have managed to overcome together. What do you intend to accomplish in your marriage? How do you see your future together? What do you respect most about your partner? If there was one thing you could put your finger on, aside from her charm and smile, what do you covet about her more than anything? How does she inspire you? When you are away from her for extended periods of time, what do you genuinely feel is missing from your life? What is the Standard Process for a Courthouse Wedding Ceremony? Here is a quick outline of a standard wedding, so you don’t find yourself lost on your biggest day. The Procession- walk down the aisle, everyone takes their place for the ceremony. The Officiant Addresses the Couple- a reminder of duties and roles in marriage. The Exchange of Vows- exchange of promises to each other. The Ring Exchange- give your girl the dream ring that she will brag about for years. The Kiss- your first public display of affection as a married couple. The Closing Remarks- wrap things up with a few last words, if you are religious, a blessing occurs. The Recessional – the reversal of the processional, everyone exits their place following the newlyweds, and a party soon follows the ceremony. Judge Wedding Vows for your SF City Hall Wedding. 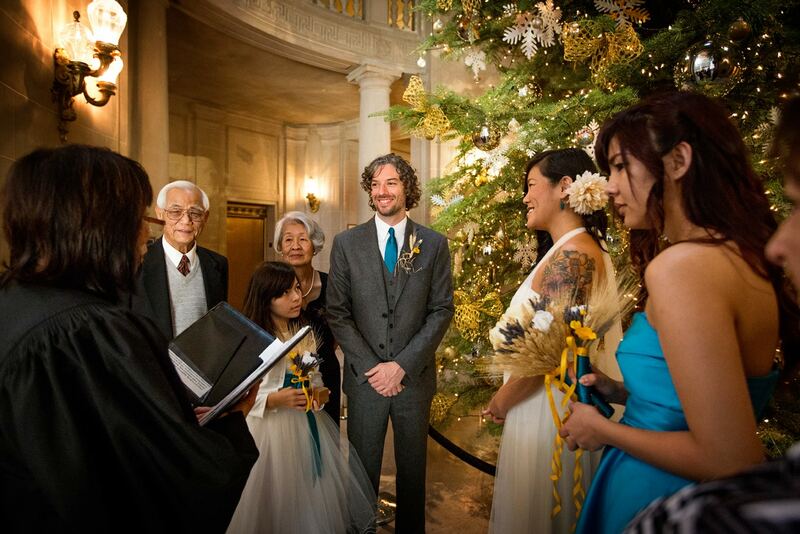 If you are looking to get married in the SF City Hall, the marriage fee will cost you approximately $175, which accounts for your marriage license ($99) and the civil ceremony ($75). If you are interested in renting a private wedding on the Mayor’s Balcony, it will cost you around $1,002. Getting a license in California is simple if you are eighteen years or older. All you must do is make an appointment at the county clerk’s office and present a valid photo identification. There are plenty of judges and justices that are available to marry you if this is the method you prefer. If you are having a private ceremony, City Hall recommends that you use your own officiant, in case City Hall is overbooked with civil services. You can then choose to have standard courthouse wedding vows or write your own.